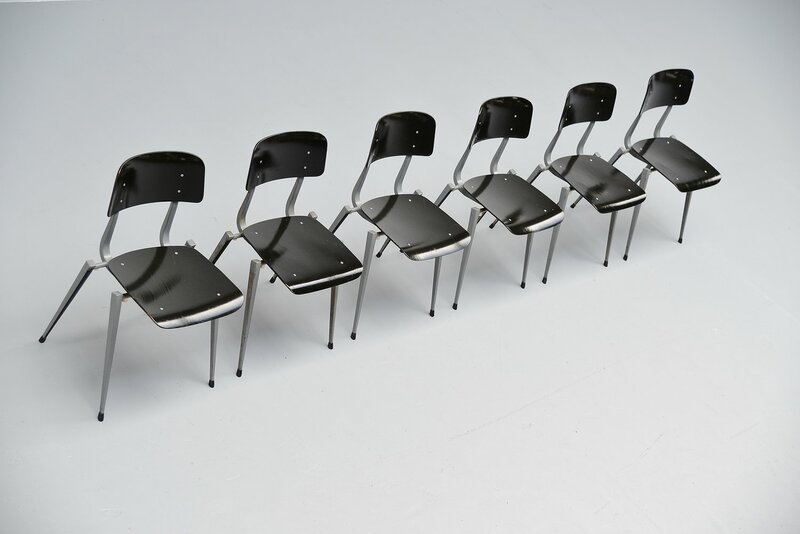 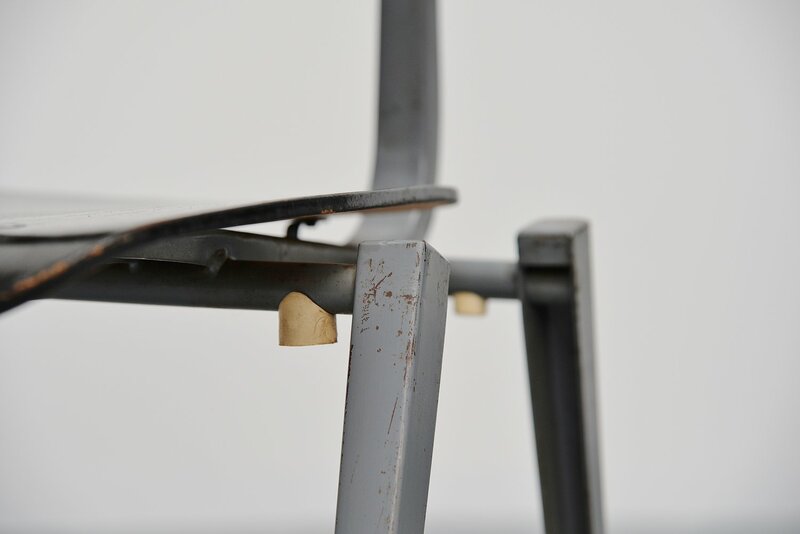 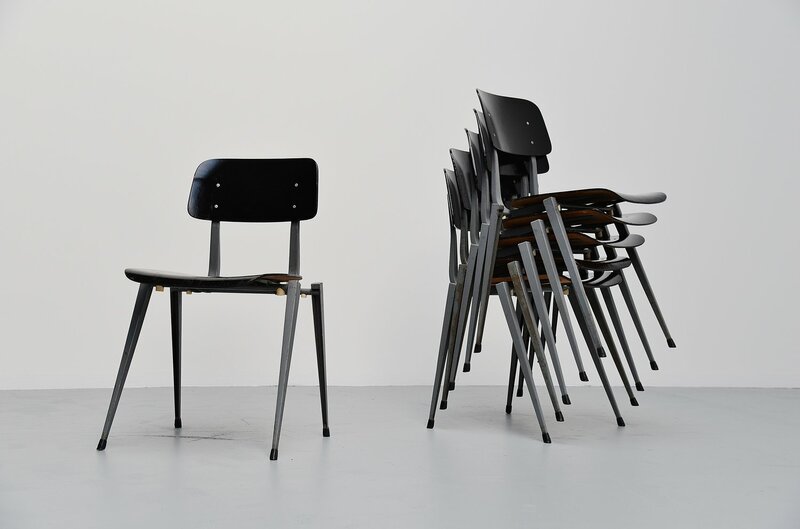 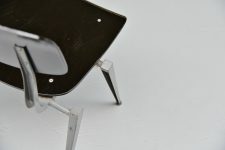 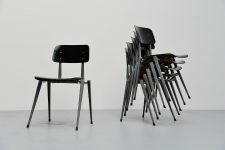 Very nice and unusual shaped set of stacking chairs, made in Holland 1960. 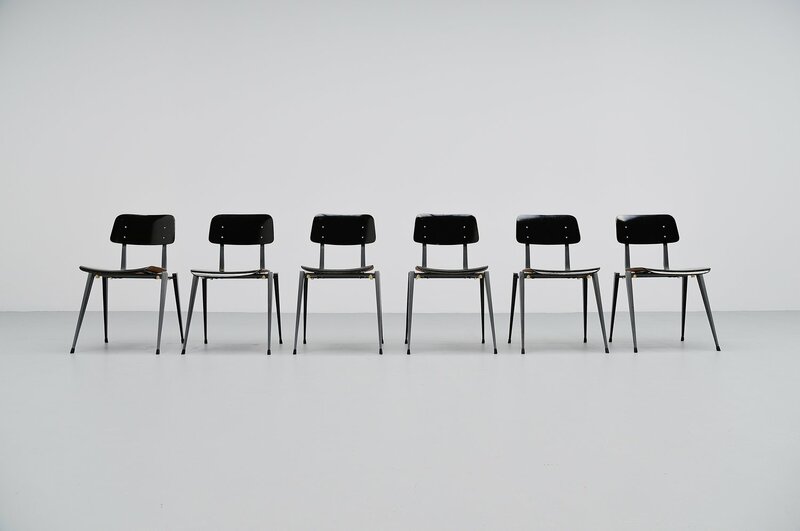 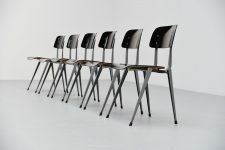 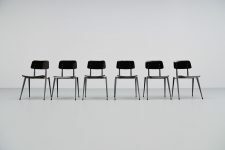 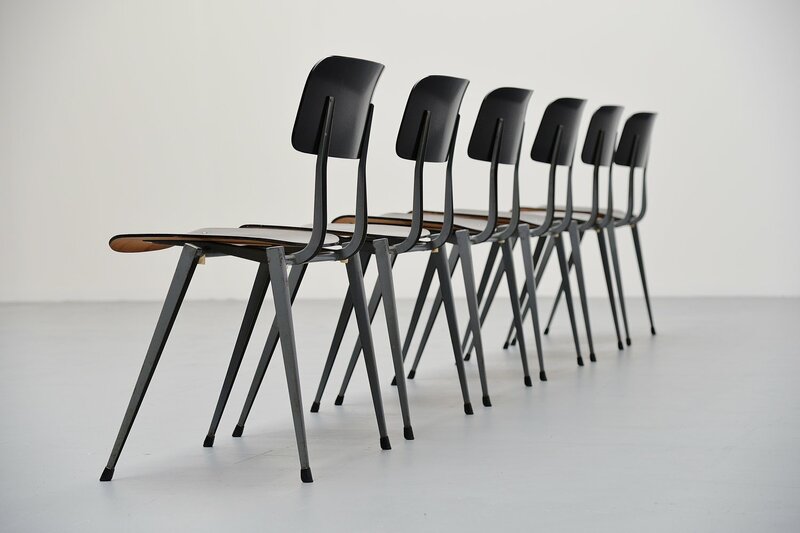 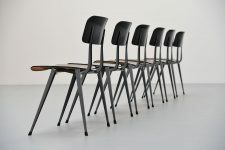 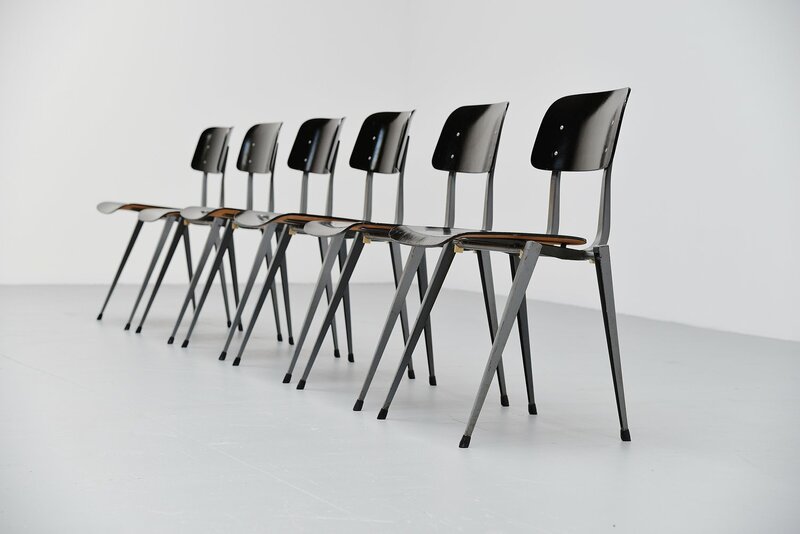 These chairs have a nice black lacquered plywood seat and back with a grey lacquered metal base. The base is amazing made and fantastic shaped. 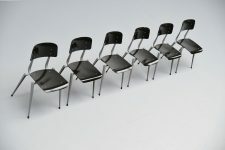 It looks like the seat is floating. 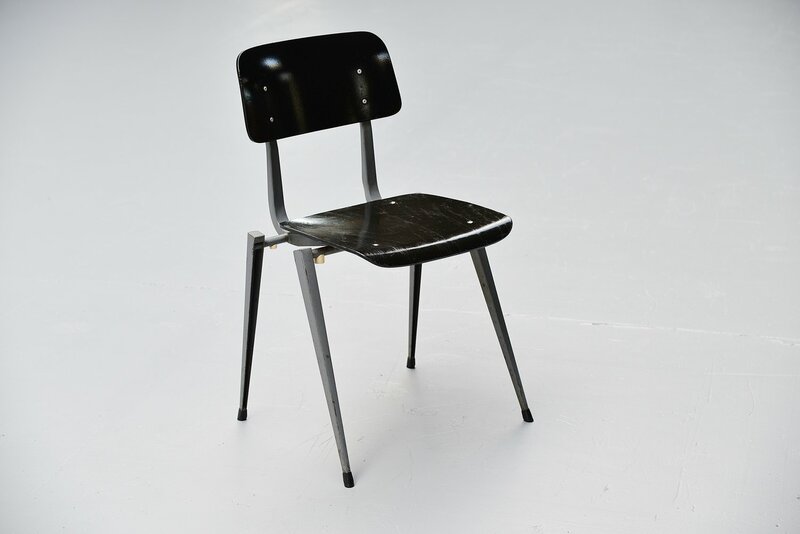 Chairs are stackable too so easy to store.These chairs have a nice patina from several years of intense usage but are structural checked, normal paint loss here and there but in clean condition.